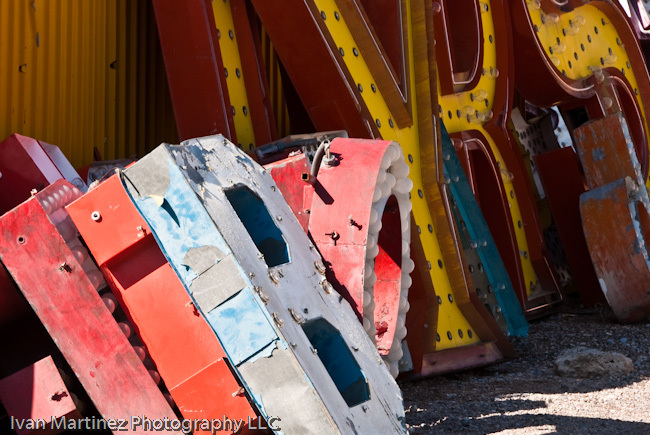 I was a little disappointed when I walked in to the office of the Vegas Neon Museum and found out that it was closed for renovation. 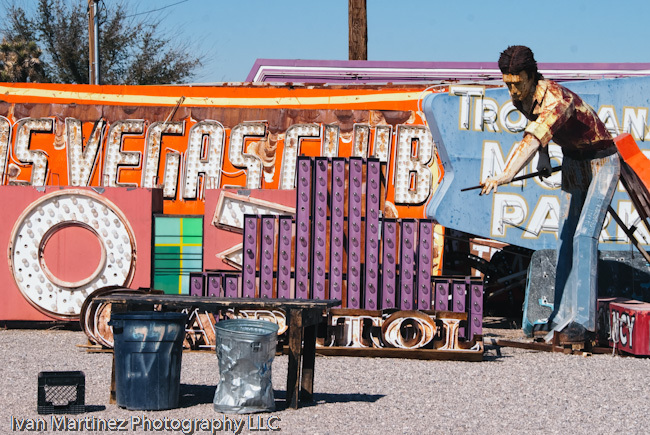 A friend of mine who is also a photography enthusiasts were planning on photographing some of the signs at the bone yard. We both have heard of the place and were looking forward to spending half a day walking to capture some of the signs in the yard. We found out that the museum will be closed for several months to undergo a significant renovation. They allowed us to photograph over the fence and to walk outside the area since the yard has been fenced due to the ongoing construction. 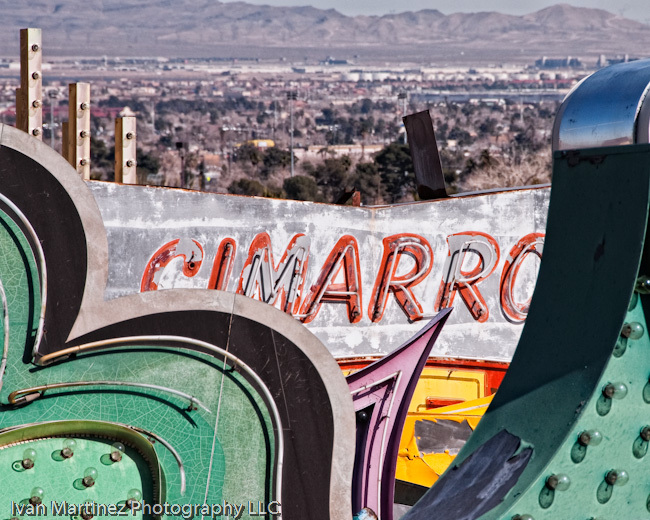 I can't wait until the museum opens to go back and capture some of the colors and characters of many of these Las Vegas landmarks.